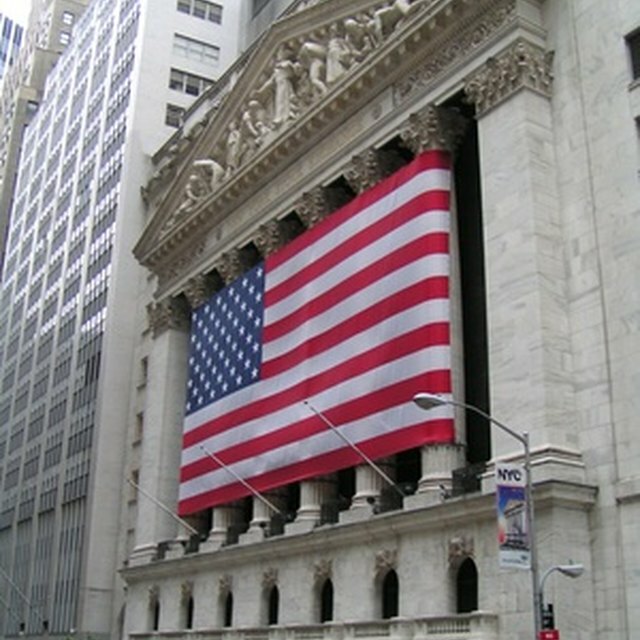 The Dow Jones Industrial Average is a stock market index that charts 30 major publicly traded companies covering several industries in the United States, such as banking and pharmaceuticals. The Dow is one of the major indicies used to gauge the general direction of the stock market and the economy. If you want to interpret the volume of the Dow, you can use a Dow index chart available at many financial websites to help decipher the current and historical trends on the market. Go to a financial website that displays the Dow Jones Industrial Average chart. Yahoo! Finance, Google Finance and CNN Money are examples of websites that offer this service for free. Although the Dow charts are displayed by different websites, they usually have the same features and functionality. Click the appropriate tab, button or drop-down list on the chart that displays the time frame you want to view. For example, if you want to see how the Dow has performed over the previous six months, select the six month tab or button. The chart displays the trend and trading volume for the time period, such as an upward trend or accumulation phase, which displays the line on the chart moving in an upward direction. By viewing the chart at different time periods, you can see if the Dow is moving in a general downward trend or distribution phase, or an upward trend. The line on the chart gives a visual representation of the volume of trading taking place on the Dow. Click on the stock symbol of a company in the Dow to view its trends. The companies are usually listed under the main chart or you can enter the symbol in the appropriate "Symbol" or "Ticker" box to display the company's detailed information and chart. Select the appropriate time frame using the appropriate tab or button to view its trending phase and trading volume. Closely following the trends of companies that are on the Dow can help to give you a detailed insight on how these companies are reacting to the overall market. Use the in-depth indicators or features on each chart to get a better understanding of the market. For example, some charts have a Relative Strength Index (RSI) tool, which uses the prices of a company's stock during a recent closing period to chart the weakness or strength of the stock via its past performance. Use the available tools to help further view details about the trading volume for a particular company or the Dow index in general.